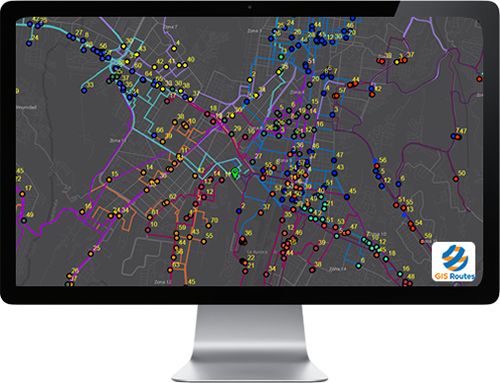 GIS Routes Suite provides the tools that will help you throughout the route planning, execution and analysis cycle. Be more productive by saving time with a solution that helps you take control of your routes' operations. 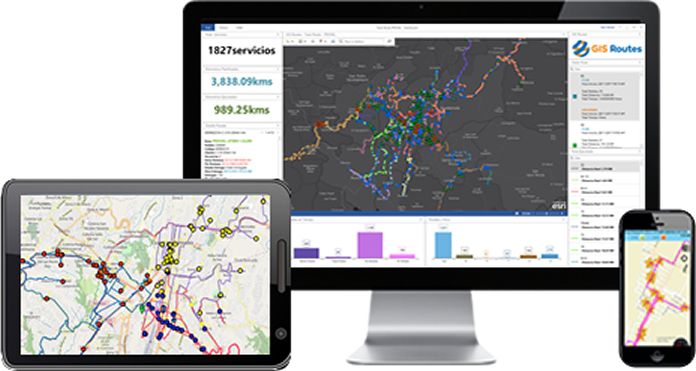 GIS Routes integrates all the tools you need for planning, monitoring and route analysis, in one easy to use platform. Every industry has it own logistics challenges, see how GIS Routes can help you. 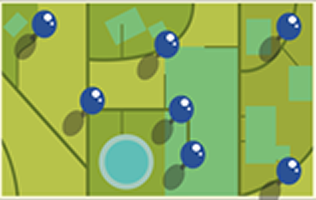 GIS Routes APIs make it very flexible to integrate with other systems like ERP or WMS systems already at your company. Make some scenarios and see how fast you will recover your investment. Complex problems need an extra help. See in what other areas we can help you. Key to success is a well trained team and support just when you need it. All the tools you need in a single easy to use platform. 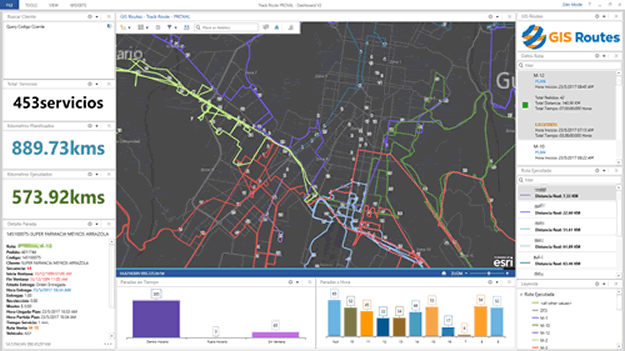 GIS Routes SaaS, is a combination of a web based platform and apps for mobile devices that provide all the functionality for planning, monitoring and make real time analysis of the routes. The the ideal option for those small and medium size companies that need results and don't need to worry about having on premise all the technology and infrastructure. You can start with one route, pay as you go and scale it up as your business growth. GIS Routes getting ready to be at Guatemala Volcano Summit on May 20-22 at the beautiful city of Antigua Guatemala. 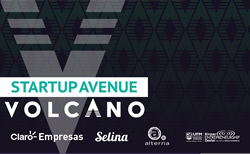 Look for us in the Startup Avenue at the Growth and Scalability area. GIS Routes was present in Collision Conf at the Alpha Section in New Orleans. 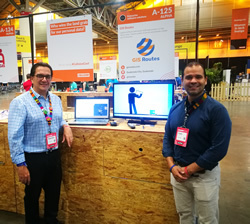 GIS Routes is recognized in the list of the 33 startups of fast growth in Guatemala. Because we understand the importance of your operations, we have a well trained team to support you when you need it. Go to the FAQ section of the portal if you want to search for frequently questions answers or if you already a member of GIS Routes go to the members area to open a case. 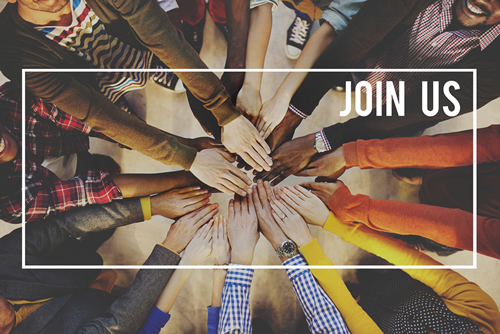 See what jobs are available at our careers section. Last mile distribution involves many business variables that you need a solution to optimize the routes and warranty the quality of service to your clients. Understand how GIS Routes can help you in all different stages of last mile distribution. Don't have the info of your clients geographic location on a map? Don't worry, GIS Routes provide tools so you can generate this information in a short time. 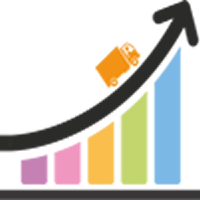 If you already have a budget for your operations and want to track your expending and your quality of service. See how GIS Routes can help you optimize and track the route plan you choose. Because problems happened in real time and need real time decision taking. See how GIS Routes provide real time operations information for you to take a well informed decision.